Each Wednesday evening, Rabbi Bronstein leads a tour of the "Par'shat Hashavua," the Torah portion of the week. The class will look at plot, themes, language, poetry, theology, history, and, of course, commentary. The class is intended to be stimulating for the adept AND a worthwhile learning experience for novices, including non-Hebrew readers. The morning study group meets each Thursday morning in the library and makes its way through the Steinsaltz translation and commentary on the Talmud. Good food for thought and good company. You can drop in anytime or become a regular. No prerequisites other than a love of Jewish learning. Check the calendar for complete schedule. See sidebar for earlier writings. 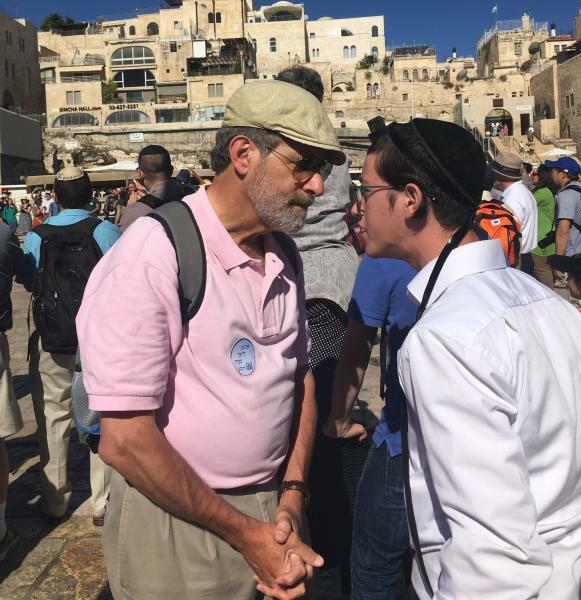 On October 25, 2018, Rabbi Bronstein will be installed as the 64th President of the New York Board of Rabbis (NYBR). For more than 136 years, The New York Board of Rabbis has shaped the future of Jewish life in New York, educated rabbis and the public, and responded to the changing needs of Jewish communities. Previously, Rabbi Bronstein served as the Vice President for the NYBR. 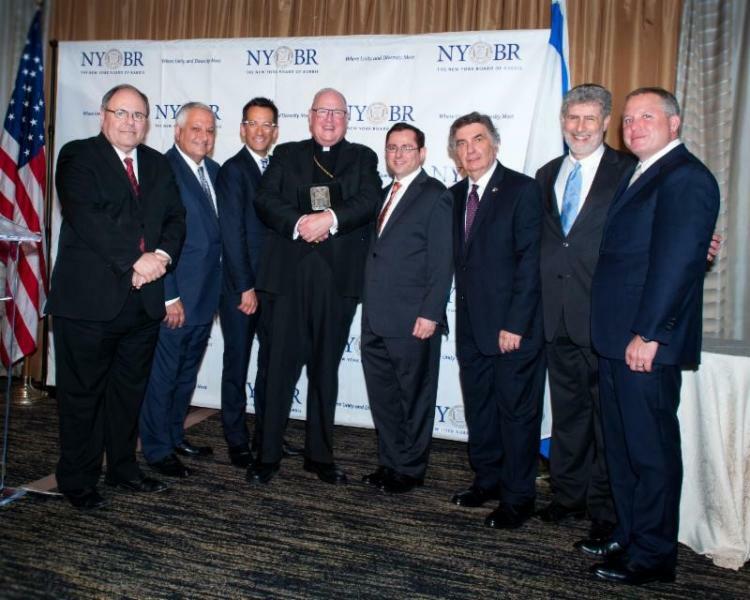 On June 19, 2017, the NYBR recognized His Eminence Timothy Cardinal Dolan, Vincent F. Pitta, Esq. and Robert S. Tucker, Esq. for their extraordinary humanitarian work in New York City, the United States and around the world. Rabbi Bronstein presented the award to the Cardinal. 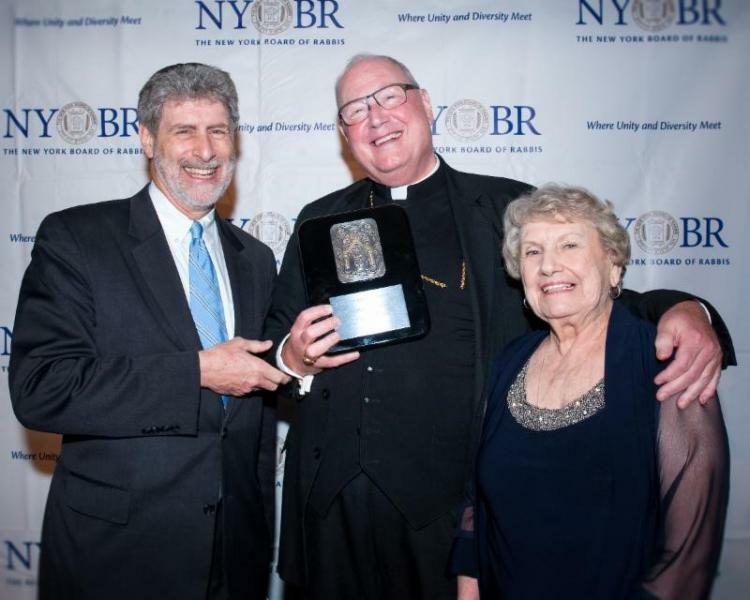 Timothy Cardinal Dolan, Rabbi Gideon Shloush, Rabbi Joseph and Mary O'Connor Ward-Donegan.